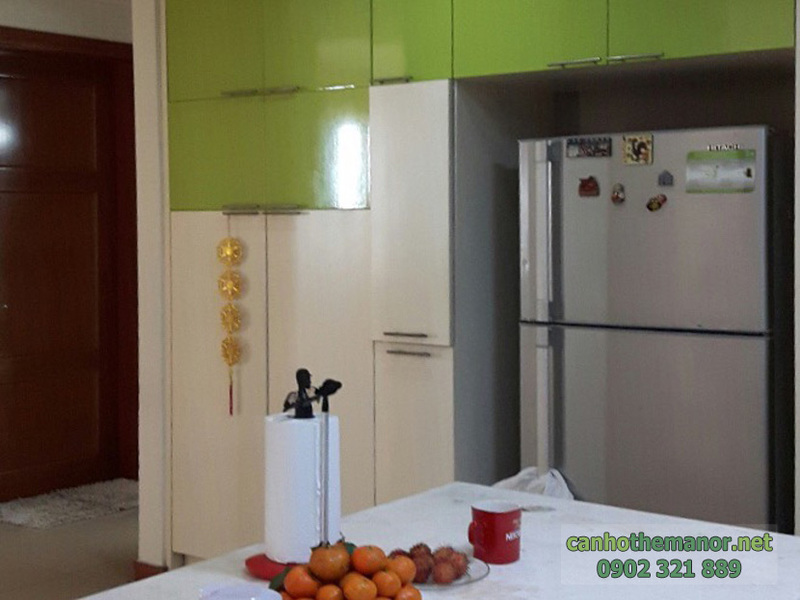 The Manor apartment has a potential position in the heart of Binh Thanh district. The apartment was handed over and is operating with permanent land-use right certificate which is given to the customer. The Manor apartment is the best ideal living place in Binh Thanh District with the most outstanding amenities and it will also bring high-profit if you intend to invest. The Manor 3-bedroom apartment with total area of 167 sqm on the 3rd floor of AW block. From The Manor apartment, you can enjoy the scenery of bright blue swimming pool as a enormous blue gem and the bustling and sparkling of District 1. The floor is installed by glossy tiles which are imported from abroad and the wall is painted by antifouling paint and heat-resistant paint, so you don’t need to worry about the heat in the summer. Not only that, the landlord equipped with full of luxurious and comfortable furniture such as LCDs, cypress desk, great sofa, cooking utensils, refrigerator, dining table, microwave, air conditioners, .... The fixtures are neatly arranged as the pictures above. By the way, The Manor apartment also meets all daily living needs such as restaurants, healthcare services, entertainment areas, ... which are available on ground floor, you can comfortably experience and get the most wonderful moments in here. The selling price of this The Manor apartment is 5.58 billion VND. Due to having a demand for business, the landlord wants to sell urgently and agrees to negotiate with customers who intend to buy. Therefore, this is a rare opportunity to own one of the best quality apartments in Binh Thanh District. Don’t hesitate to contact us following this hotline below if you need other informations about The Manor apartment. Our professional group in real estate consultant will give specific advices to you.